So, we have created a JMS queue to act as a JMS destination for our application. 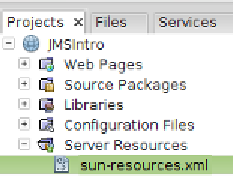 NetBeans adds the GlassFish resources we created to a file called sun-resources.xml . 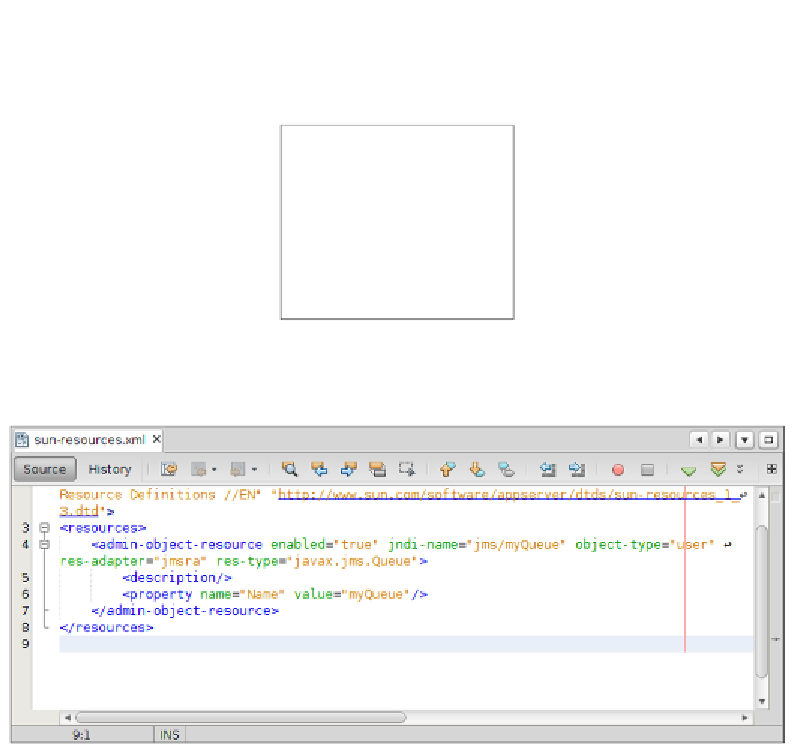 This file is created under the Server Resources node in the Projects view. defined in it. We can see the contents of this file by double-clicking on it. finally selecting View Domain Admin Console .